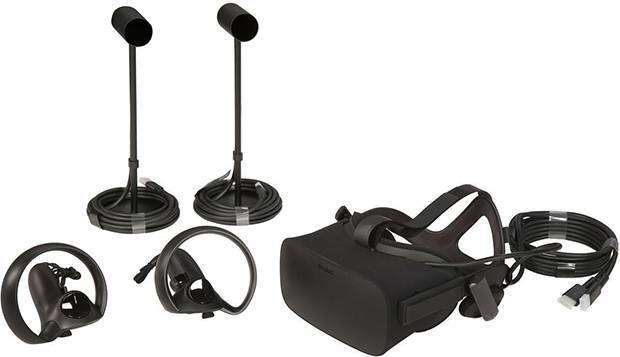 Oculus Rift VR kit for Pol (her money). Hartleys fruit in jelly, I love 'em as a snack. French magazine subscription for the missus E140!!! Shower curtain clips as I can't find our old ones. All the shower grabrails I found in B&Q are solid, apart from the wall plates that warped under pressure, so I bought a towel rail instead that is far more solid. The missus wants a shelf for shower gels, etc., but all I could find were glass ones which she doesn't trust. A massive 34watt led kitchen bulb. It's fantastic. The kitchen was plunged into dark because of the extension so this lights it up again. Twas £17 but claims to last 35,000 hours. Morrisons had dropped £2 2.5kg bags of baking potatoes to 10p, so I got 6. £14 trainers in Tesco. Better built than all the others I've seen at £40+. And no PU (Polyurethane Rubber) soles that rot to bits if you don't wear them all the time. A year's supply of cat flea treatments. Huge Spanish garlic bulbs in the market. New shoes for the slipper-wearing lad. My butcher friend sold me 2 large pork joints for 20% off. I nearly bought a Malaysian couples' Chicken Rendang curry until I saw the price ... £6.50 for a small bowl... they won't be trading in the market in a couple of weeks I reckon. Wow where will you store it? I'm very tempted to get a new foodsaver vacuum machine. It's on offer but I'm hanging fire in case this one starts behaving. Air is getting in the bags.